Every year, sales of Super Bowl memorabilia total over $100 million. That's a lot of T-shirts -- and a major magnet for counterfeiters. 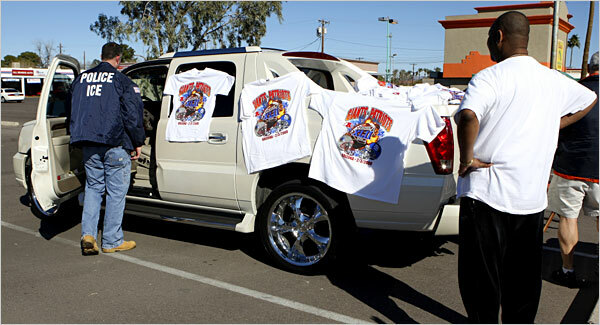 According to an article in the New York Times, federal Immigration and Customs Enforcement officials headed to Arizona in advance of football's big game to sweep up fake tees and tickets, and even a $2,000 counterfeit jersey allegedly signed by members of the Patriots' offense. Happily for Giants fans, their opponents' celebrated offensive line turned out to be almost as flimsy as the jersey. P.S. For more on the Patriots and false -- or at least overly optimistic -- trademarks, check out The Trademark Blog's just slightly gloating commentary.